Gingival sculpting procedures address teeth that appear to be uneven or small by recontouring and reshaping the upper gum structures. 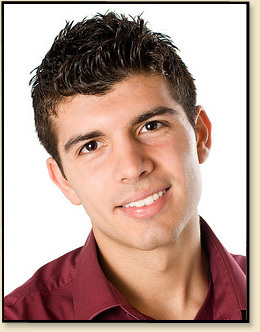 Dr. Weinstein gives his patients a more symmetrical, pleasing smile. Many times patients are referred to Dr. Weinstein for this therapy prior to proceeding with veneers. This procedure involves reducing the appearance of a "Gummy Smile" . This procedure involves lowering the smileline, thereby showing less gum tissue when you smile. Dr. Weinstein would carefully evaluate your smile and advise you if you are a candidate for the procedure. Gum recession can be caused by gum disease, vigorous brushing, grinding or clenching, or simply age and genetics. Regardless of the cause, as gums recede they expose the roots of the tooth, creating the appearance of longer teeth. Exposed roots also increase vulnerability to root decay, bone loss, and sensitivity to hot and cold liquids and foods. The solution to this situation is a soft-tissue graft, also known as a gum graft. A soft-tissue graft protects your roots from decay and helps prevent additional gum recession. Implants are the most popular and effective way of replacing tooth loss due to trauma or gum disease. Dental implants look and function like natural teeth and are more stable than alternative tooth replacement options. This is one of the most common procedures performed by Dr. Weinstein. Often following orthodontic tooth movement periodontal plastic surgery procedures are required to correct subtle smile issues. Periodontal plastic procedures are frequently required to lay the foundation for further cosmetic enhancements by your general dentist or orthodontist. 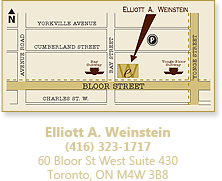 Feel free to ask Dr. Weinstein and his team for further information.